Reporter's View: How The WikiLeaks Story Developed Reporter Mark Mazzetti was one of several reporters from The New York Times who sifted through the 92,000 secret military documents leaked by WikiLeaks. He explains how the Times worked to verify the information in the documents -- and what the information means for the future of the war in Afghanistan. 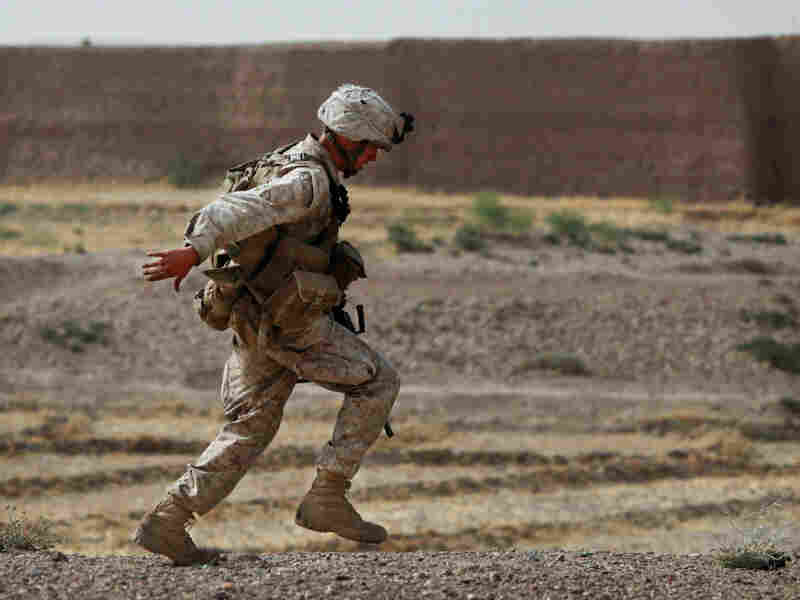 A U.S. Marine from Bravo Company of the 1st Battalion, 2nd Marines runs for cover during a gun battle as part of an operation to clear the area of insurgents near Musa Qaleh, in northern Helmand province, southern Afghanistan, July 23. WikiLeaks' release of more than 90,000 military intelligence reports to The New York Times, The Guardian and Der Spiegel revealed many new insights long suspected but never corroborated about the war in Afghanistan. Among the biggest revelations from the leaked material was the level of detail about Pakistan's spy service and its level of involvement supporting the Taliban insurgency while taking billions of dollars in U.S. aid. 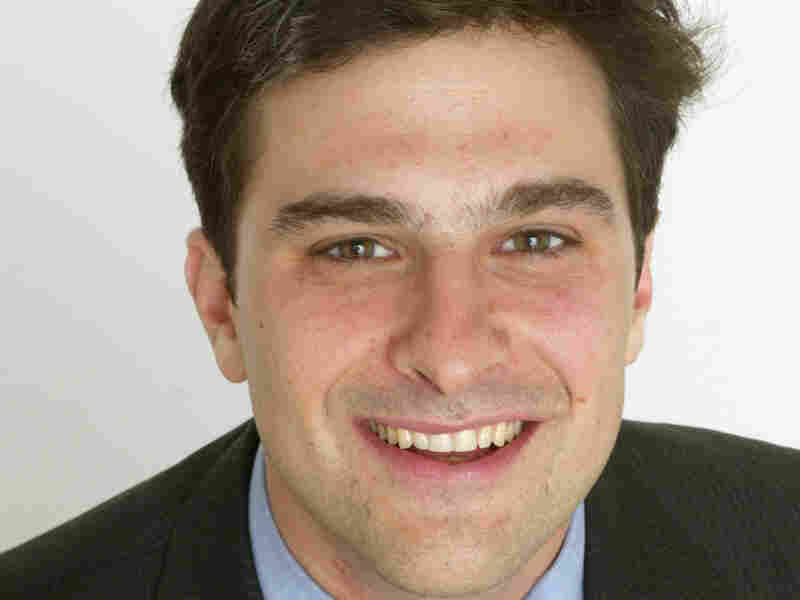 Mark Mazzetti was one of several reporters from The New York Times who sifted through and analyzed the documents leaked by WikiLeaks. In a conversation on Fresh Air, he details what the documents reveal about the war in Afghanistan and how the Times verified the information present in the leaks and then decided what and what not to publish. "Some things are obvious. If an intelligence report said a named Afghan is giving information to NATO troops and this guy is a good credible informant, we're not going to publish that person's name because that would have a very direct impact. That person could get killed," Mazzetti tells Terry Gross. "I think there's this question of balance: What is the newsworthiness vs. what is the harm? And I think that's probably the test we have to apply on all of these documents. The overarching test is: Is it in the public interest and is it in the interest of our readers to know a certain fact vs. can this do real harm to someone? And I think as we looked through 92,000 documents, that's kind of the overarching guide that we used." Mazzetti has covered national security from the Times' Washington bureau since 2006. He shared a Pulitzer in 2009 for reporting on the increasing levels of violence in Afghanistan and Pakistan. Before joining the newspaper, he covered the Pentagon and military affairs for The Los Angeles Times. Mark Mazzetti covers national security from The New York Times' Washington bureau. "For me, the most interesting and biggest revelation was the level of detail about Pakistan's spy service, the ISI, and its involvement in the Afghan insurgency. This is not blockbuster news. We've been reporting for several years that the U.S. intelligence community believes that the ISI helps training and financing militant groups in Afghanistan, but what was striking to us was the level of detail about named operatives working in Pakistan and naming specific meetings -- the dates, times and places -- and even when we threw out some of this information because we didn't think it was credible, we were still left with a body of evidence that we thought was very credible. We then ran this by U.S. officials and they said that while they couldn't vouch for each individual intelligence report, it broadly does track with what the American intelligence community believes the spy service is up to." "I think that going back to Pakistan, we can cite cases where both the Bush and the Obama administration go to Islamabad or Pakistani officials and come here and there's a lot of public praise of Pakistan as a solid ally -- 'We're all united in the fight against terrorism' -- and these are the types of statements we've been hearing for several years. If we then draw the curtain back a bit with these documents, we can see that while there is this public praise, at the same time these very detailed intelligence reports [were] coming in of ISI operatives meeting with Mullah Omar's inner circle, of former ISI heads who seem to have close ties with the Pakistani military who are meeting in the tribal areas trying to plan suicide bombings. I think if there's a public-private disconnect with these documents that for me, the Pakistan case is the most illuminating." "I may not even know the entire story. I was brought into the project after the initial approach had been made. My understanding of it is that The Guardian in London had a relationship with Julian Assange, the head of WikiLeaks. If not a relationship, they knew him and they knew how to contact him. And it had been reported for several weeks that WikiLeaks may have access to troves of documents [about the Afghanistan war]. And I believe it was The Guardian who first approached [Julian Assange] and convinced him to have the documents come out after they had been looked at by a couple news organizations. The New York Times came in after The Guardian and one of my colleagues went to London to begin to look at the documents and quickly found that it was far more than a one-person job and then they brought a team of about five of us to begin looking at them. ... You had a couple different news organizations that are typically very competitive that had access to all of the same documents. Now what we didn't do was share all of our analysis or conclusions or make sure that we all on the same page of what we were concluding in the documents. We came to our own conclusions." "The public statements have been very angry about the release, calling it a 'breach of law,' and have said that this is incredibly unhelpful for the war effort. In fairness to them, they didn't have the documents when we approached them. We didn't give [the documents] to [the Obama administration]. So they were in discussions. Their discussions with us was whether we were going to get any White House officials to talk or not and if not, when their statements are going to come out. We didn't have extensive discussions -- we went in, we told them we had the documents, we told them what we were asking for and they said they'd get back to us. So I do think that the White House has said that they thought that the Times had handled the situation responsibly in the sense that the Times was not putting every single piece of information out and I think they appreciated the heads-up that we gave them -- that we had the documents. We didn't do it just to give them a heads-up. We wanted information and to speak to them and to answer questions about what these documents revealed."